MJX bugs 3 has been one of my favorite drones for a while, in terms of build quality, power and the potential it has for the price. And now, a newer, smaller version, the Bugs 3 Mini is exactly that, but in a smaller, swifter, cheaper package! I wouldn’t say this is really for beginners, as it’s quite a speed demon, so beware! Considering the extremely low price of this drone, being in the range of toy drones, the fact that it comes with brushless motors is absolutely incredible. This is exactly the reason why it made into my top cheap drones with brushless motors list. 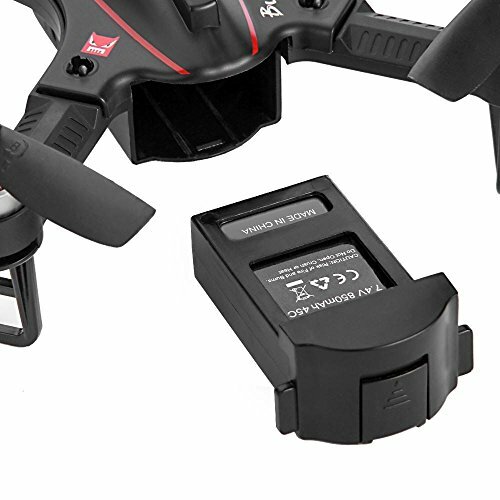 So why doesn’t everyone use them in their drones? One simple reason: they’re considerably more expensive. That’s exactly why I’m quite amazed when MJX makes such quality drones for this cheap. How long it stays in the air is an important factor for any drone. The usual time in the air for drone at this size is about 6-7 minutes. The bugs 3 mini isn’t far off. It’s advertised at 10 minutes of flight, but it’s more like 8 minutes, depending on how you fly. However, this is still quite impressive considering how much energy those motors require. The Bugs 3 mini is too small to carry a big Gopro, but it can definitely handle a smaller action camera like a mobius. MJX made a camera option too, and it’s one that works with any FPV goggles or 5.8ghz screen. For those of you who don’t know, the difference between these modes is that one flies stabilized and the other doesn’t. Angle mode – Stabilized, if you take your hands off the controller it will stabilize the drone parallel to the ground, but it doesn’t have GPS so it doesn’t stay in the same spot, it will drift away slowly. The price for this drone is unreal in my oppinion. You can get it on Gearbest for quite cheap, if you’d like faster shipping amazon would probbably be the best option though. When it comes to specs or fancy features, the Bugs 3 mini isn’t something impressive, it does just a few things, but it does them very well. It’s a breath of fresh air from the cheap feeling toy drones of today that can’t fly properly and get destroyed at the first crash. The build quality is impressive overall, that’s what I’m trying to say. I really couldn’t decide between putting it in the beginner or racing category, as it’s actually somewhere in between. I wouldn’t recommend this to be your first drone though. Even though it might have 2 speed settings, including one that slows the motors down. 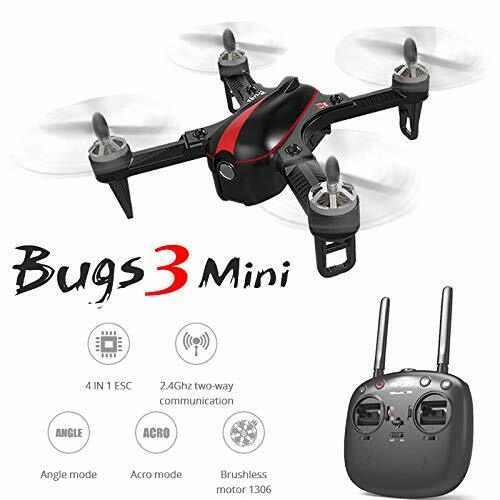 The bugs 3 fits a bit weirdly in the category that’s under $100 because it feels so much like a more expensive racing drone. 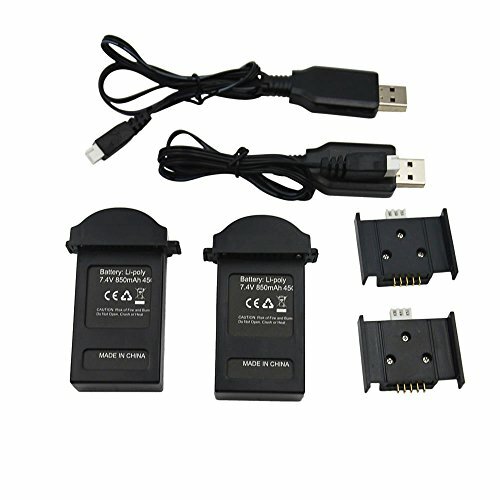 But these bellow are my top rated drones in this price range. The transmitter looks pretty universally similar with all the other controllers from MJX. I would personally have prefered to see a smaller controller to make things more portable, even more so since the drone is quite small. 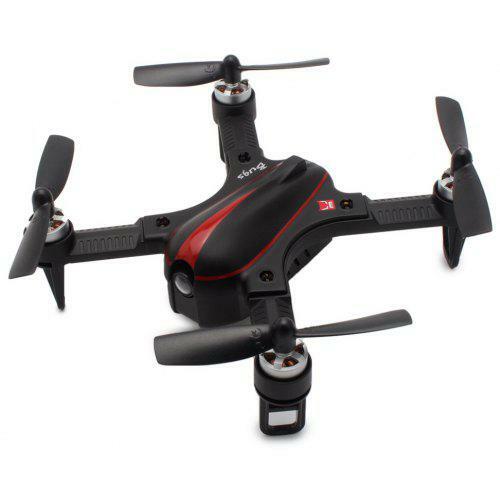 There are a few version of the quadcopter, including the standard without a camera and one that comes with the C5810 720p camera. Which is a 5.8 ghz one that works with any goggles or monitor. 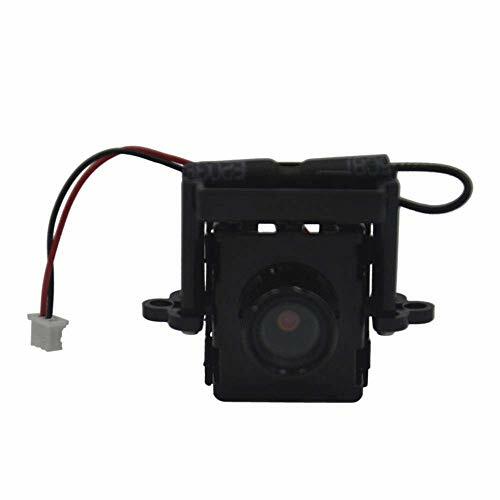 The camera is relatively easy to mount, as there will be instructions in the package, but you will have to unscrew the canopy and connect a plug. absolutely impressive what this brushless drone can do. You can even fly it in acro mode!